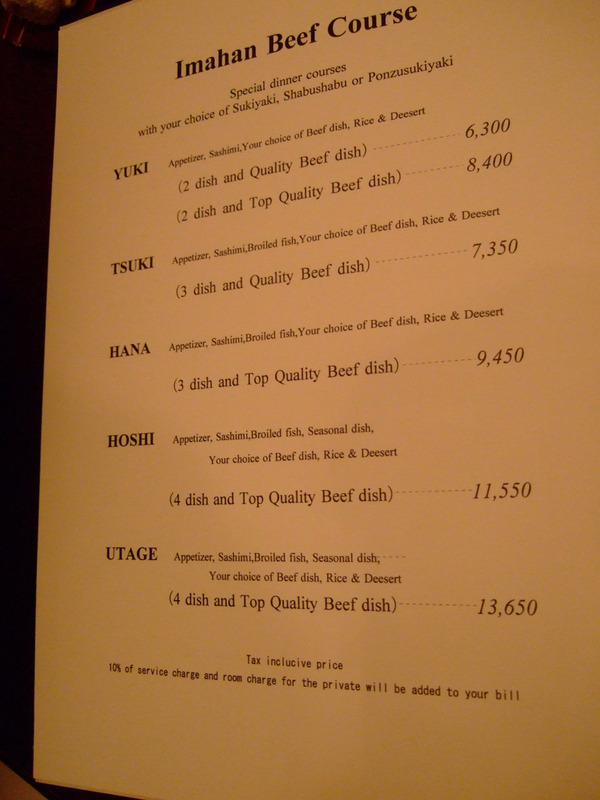 As a foodie, how could my trip possibly be complete without sampling Wagyu beef? 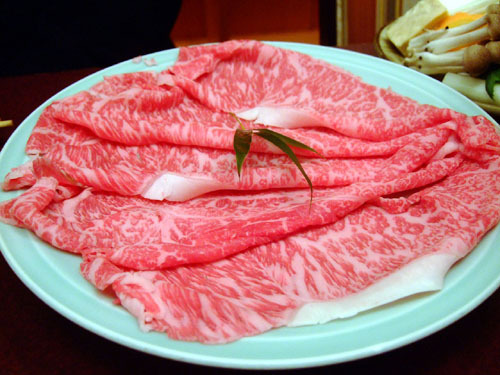 The nomenclature "Wagyu" refers to breeds of cattle that are genetically predisposed to large amounts of marbling. 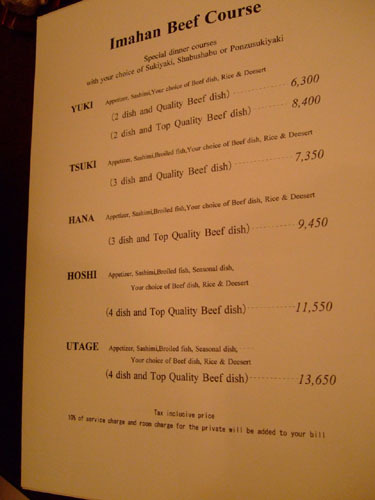 Apparently, to further enhance the quality of the meat, these cattle are massaged regularly and fed a diet of beer and sake. 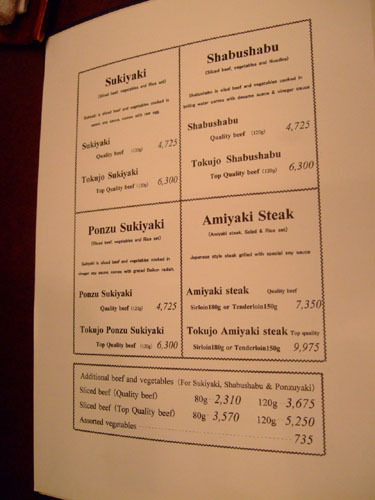 Although "Kobe-style" beef is quite popular now in the US, it is still rather rare to find the real deal. I'd had genuine Japanese beef before in the States, but wanted to try it here as well. 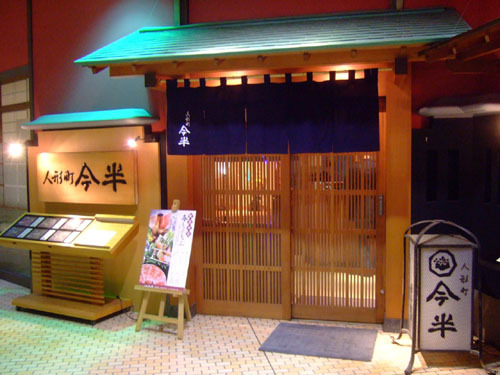 The original plan had called for dinner at Matsuzaka Akasaka, but much to our surprise, the restaurant was closed due to a national holiday. After conferring with the hotel concierge, we decided to try out Imahan instead. 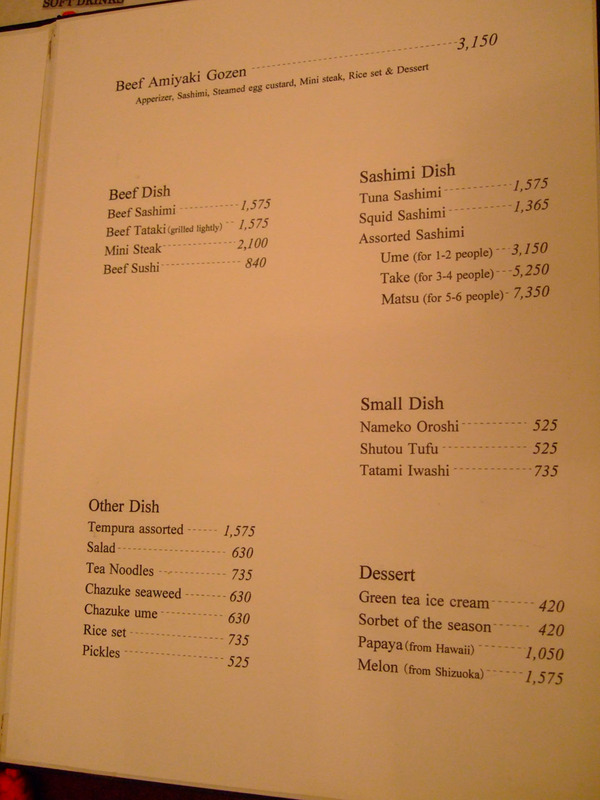 The restaurant is actually located on the bottom floor of the Daiichi Seimei building in Shinjuku. 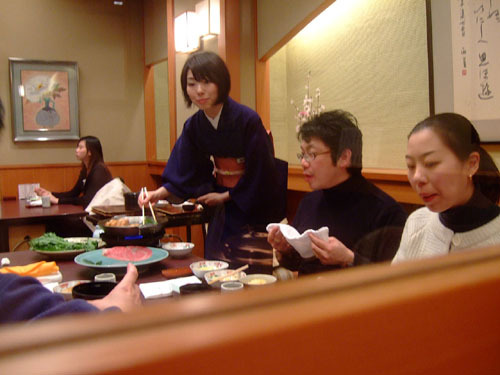 In addition, there are several other locations throughout Tokyo as well. 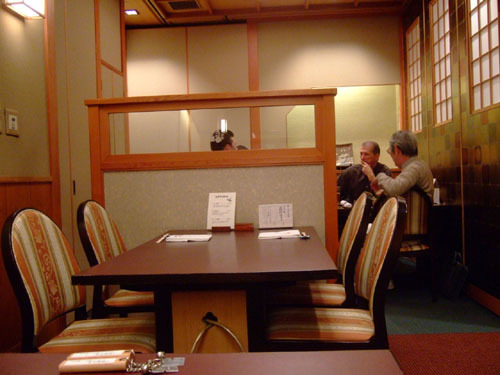 Pictured above is the Western-style dining room; there are also kotatsu rooms available. Here we see the main menu. 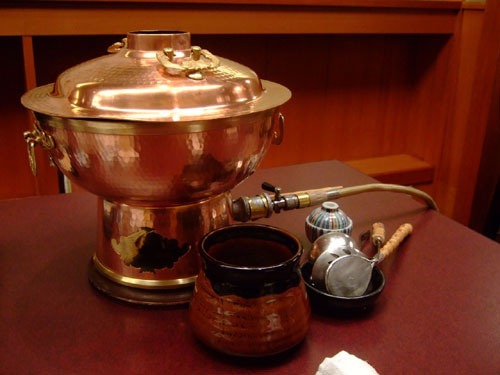 Basically, there are four options for a course meal: sukiyaki, shabu shabu, steak, or kaiseki. 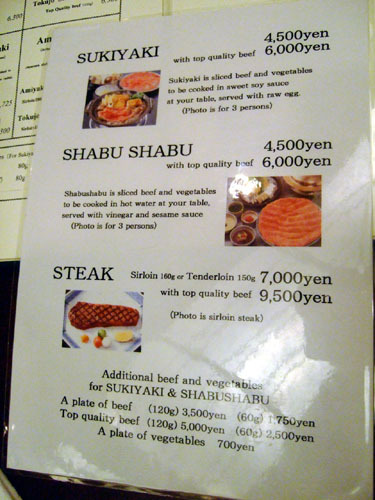 Obviously, I had to order the most expensive option, the "Utage" steak course, while my dining companion had the "Hoshi" shabu shabu. Click for larger versions. 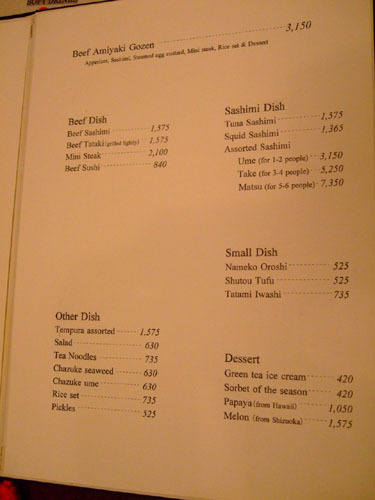 On the left is an abbreviated menu, I suppose for your typical Americans. 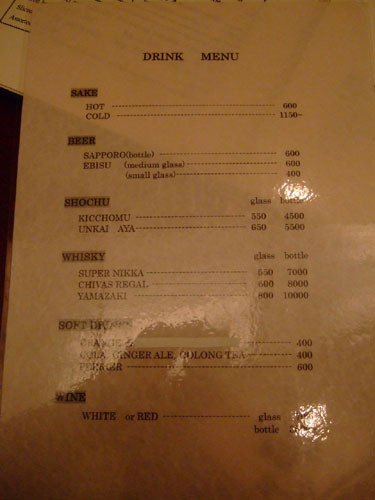 On the right is a very short drink menu; I suspect there's a more expansive menu in Japanese. Click for larger versions. 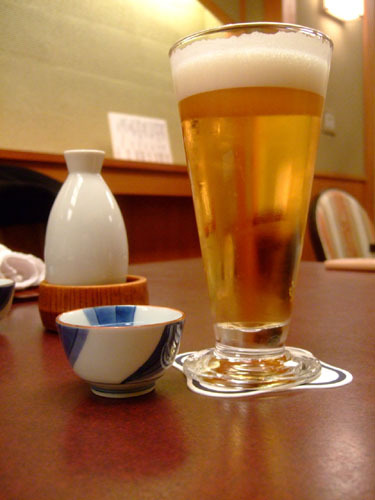 In any case, we drank hot sake (I always get cold but my dining companion wanted to warm up) and Ebisu beer (quite nice, my first time having it). For some reason, I was given a special placemat. 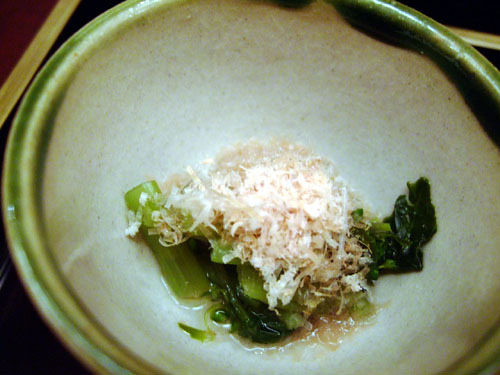 • Picked vegetables with katsuobushi - The dried bonito shavings did temper the bitter tang of the veggies, but this was otherwise unremarkable. • Bamboo, carrot, fava bean, meat sauce - Not much going on here; fava beans must have been in season, as this was the third time I'd had them in five meals! • Duo-color tofu paté - Rather bland, I couldn't really discern any difference between the two colors. • Baby squid with sweet mayonnaise - Though the squid were perhaps a bit scary looking (my dining companion wouldn't eat hers! ), they were actually quite tasty and went well with the sweet mayo (which reminded me of a similar sauce I had with appetizers at Kaji). 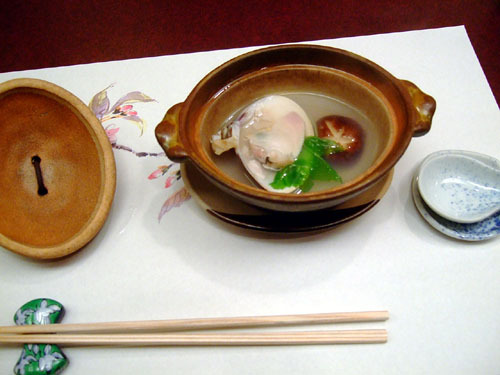 This was a clam soup with shiitake mushroom. 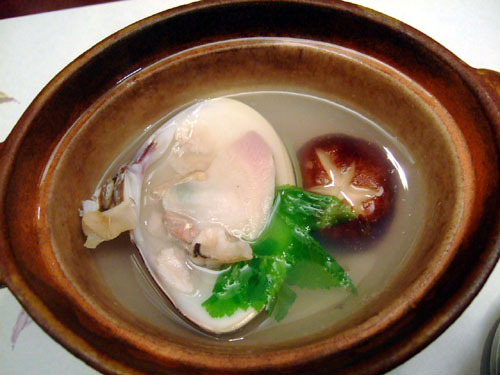 The clam was quite hearty and imparted a great flavor and aroma to the soup, which was a pleasure to drink. Very nice. These beautiful slices of beef nigiri were my dining companion's. She said she didn't eat raw beef but this certainly changed her mind! 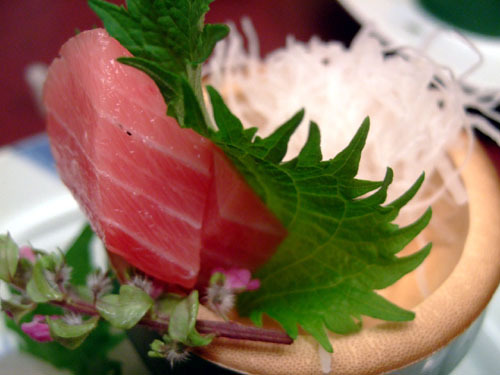 • Kanpachi - Greater amberjack or yellowtail, clean and lean. 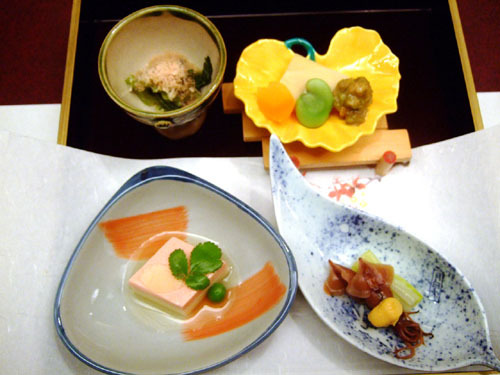 • Sayori - Needlefish, delicious but not particularly distinctive. 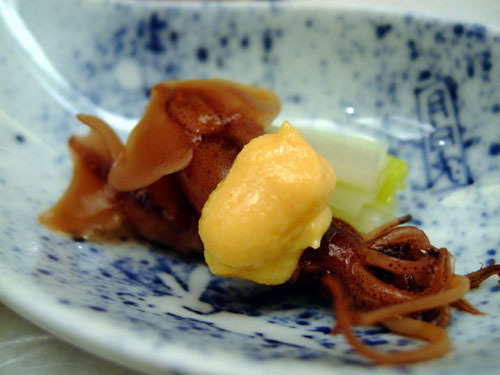 • Ika - Squid, rich and creamy. • Tai - Snapper, with a great snap to it. 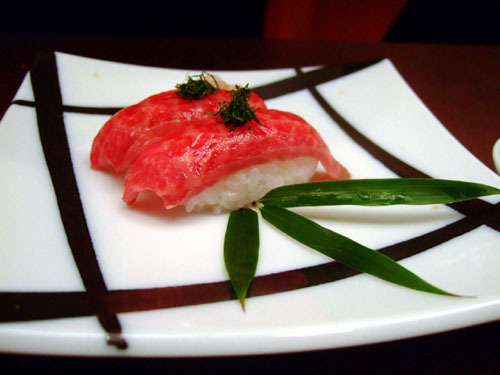 • Chu-toro - Chu-toro is the less marbled fatty tuna, versus o-toro. 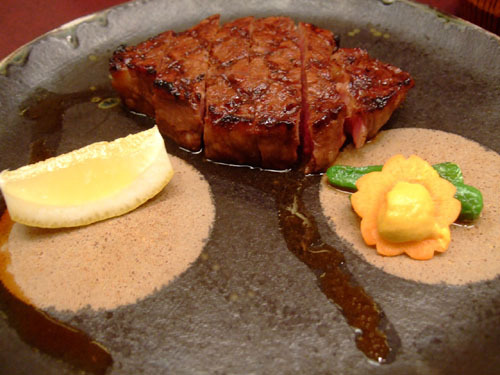 There's a world of difference when I compare this with the o-toro I had at Kyubey a few night earlier. 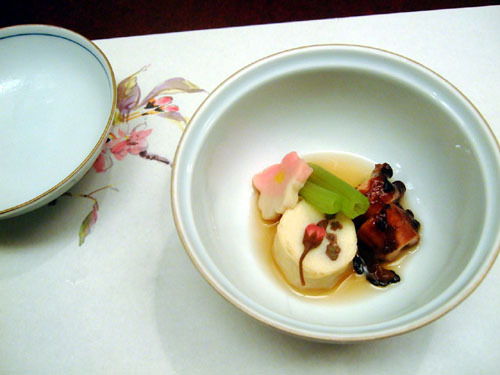 This was iidako octopus with some sort of tofu I believe. 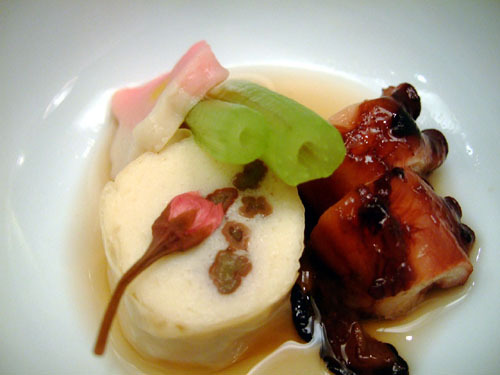 I thought the octopus was overpowered by its sweet sauce and didn't care for the tofu either. The weakest course of the night for me. Finally, the moment I'd been waiting for. 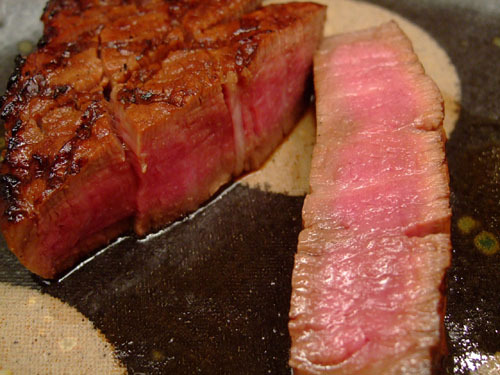 Done medium-rare, this 150g (only 5.3oz!) tenderloin was amazingly tender, the tenderest steak I've had actually. In fact, I didn't even need to chew! This just glides down your throat, aided by copious amounts of juice. I will say however, that it wasn't as flavorful or beefy as the Kagoshima steak I had at CUT; it also wasn't nearly as heavy. The steak came with lemon and a mustard sauce; I tried both, but found them completely unnecessary. Look at that marbling, beautiful! I actually preferred to eat the beef raw, as I felt using the shabu shabu tended to overcook the meat. 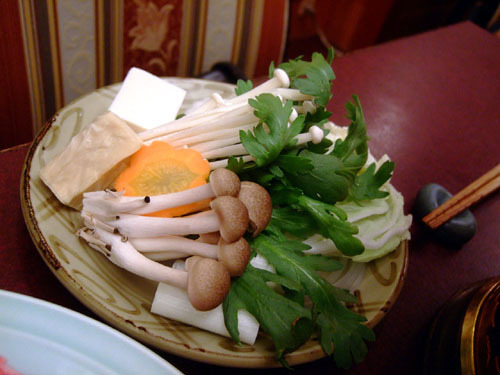 The accoutrements included were chrysanthemum leaves, shiitake and enokitake mushrooms, onions, cabbage, and tofu. 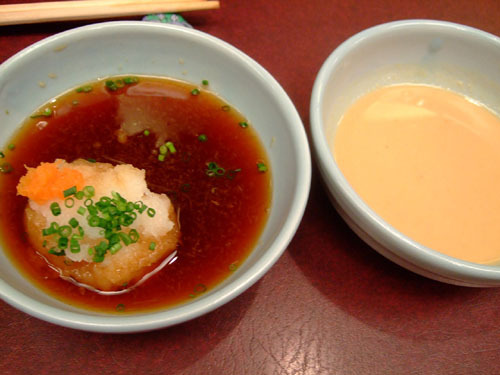 Ponzu and goma (sesame seed) sauce were also provided. 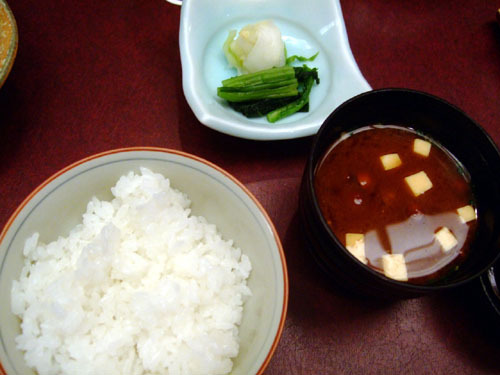 Along with the main courses, we were given a set of rice, pickles, and miso soup. Not much to say here; they were good examples of each. 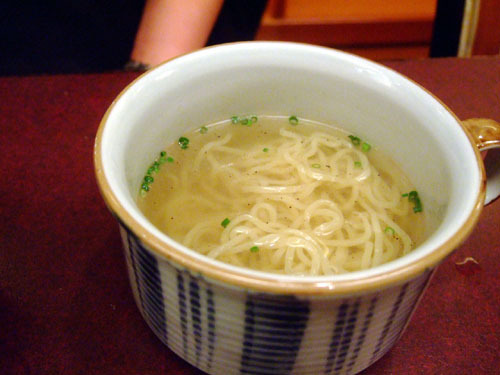 After the shabu shabu was finished, a soup was made using the broth, combined with noodles, pepper, salt, and scallions. This was simple yet surprisingly good. 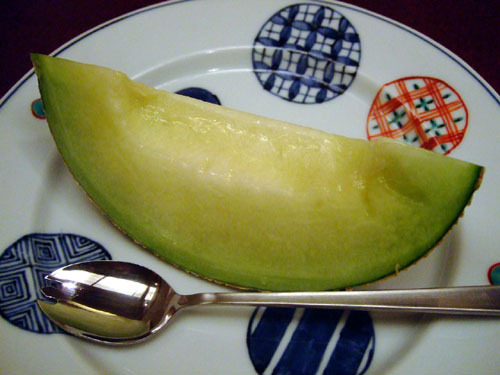 This was honeydew from Shizuoka, and quite possibly the sweetest, juiciest melon I'd ever eaten. Papaya from Hawaii. 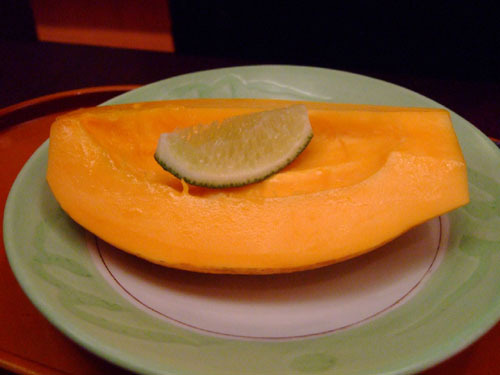 I'm not a huge papaya fan, so I found this merely palatable. 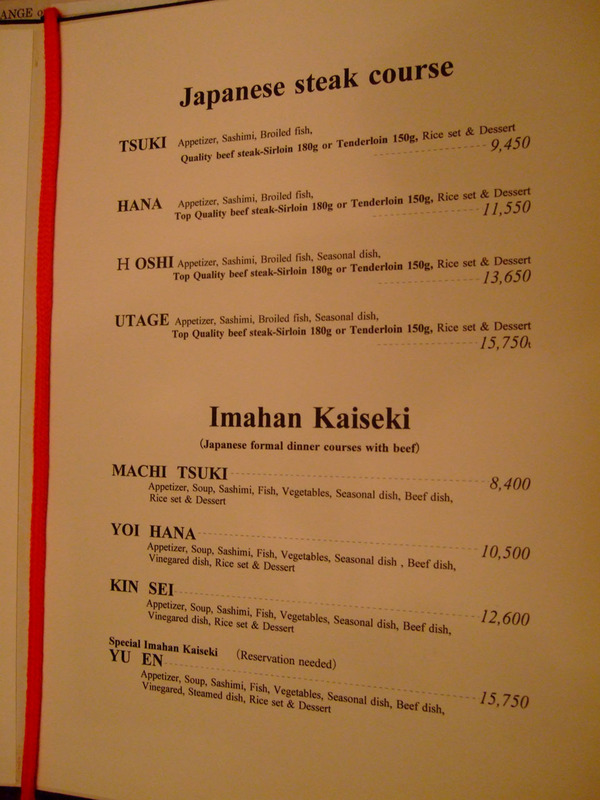 Although Imahan wasn't my first choice of restaurant, I came away feeling quite satisfied. Sure, there were some weak dishes, but when it came to what really mattered, the beef, Imahan delivered. gorgeous pics of the beef. I just ate at STK the other day, and got two sides of different sauces. But i found good pieces of steak stand out on their own better than adding a sauce. it actaully hurts the steak. i used the sauces for my black truffle parmasean fries instead. True story though..was at Mortons and a couple after receiving their steaks asked the waiter for A1. he almost had a heart attack. I agree with you about papaya too...not a fan either. What were your thoughts about STK? According to what I've seen on Chowhound, it seems like the place is more about the scene than the food. you were right. STK was more about the scene than the food. Steaks were good, but not incredible. And Cut really has ruined all other steaks that i have since. oh well. 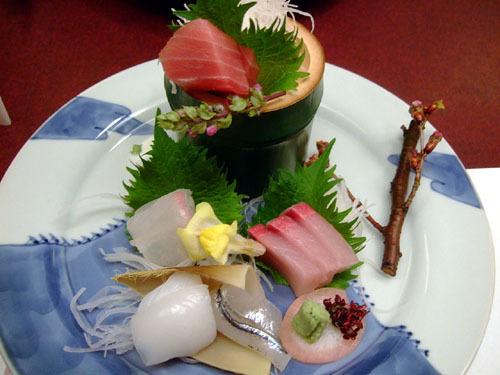 Have you dined at the famous Daiwa Sushi? 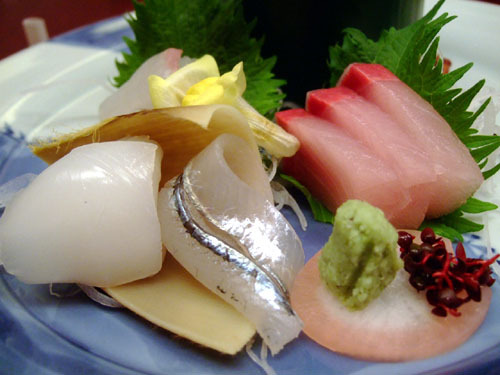 I heard it's the freshest in Tokyo, right next to Tsukiji Fish Market. A super-steal at only $30 for a sushi set! I've heard of Daiwa but haven't been there. Have you? Were they supposed to be with the tofu? Why do you say that? 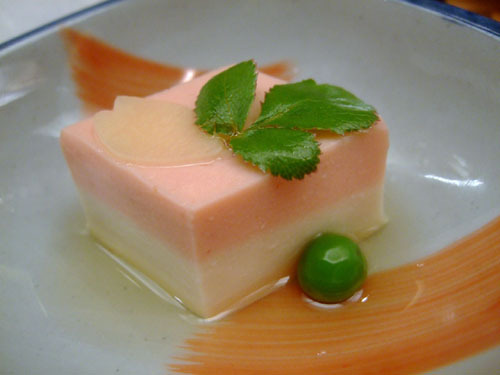 Hiyayakko tofu? I could be wrong, though! Hmm might be that. 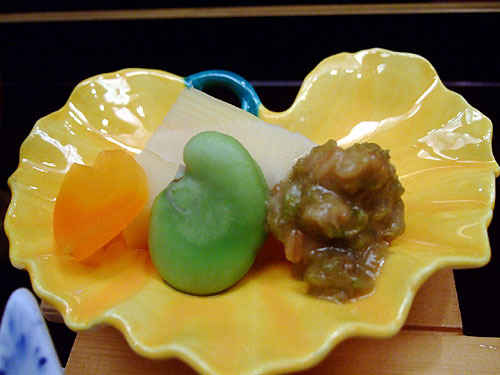 I wasn't aware of Hiyayakko tofu previously. I've been to Sushi Dai and Dawai Sushi. Both are next to one another at Tsukiji market, but to me Dawai is good but Sushi Dai is better. Tab a cab and Go early for the TUna auction and hit up sushi...the experience at the market is very unique. If you go late to Tsukiji,the wait is really killer..2.5 hours since the places are very small and about $50 for 10piece Omakase. The smaller uni at Sushi Dai is very good. 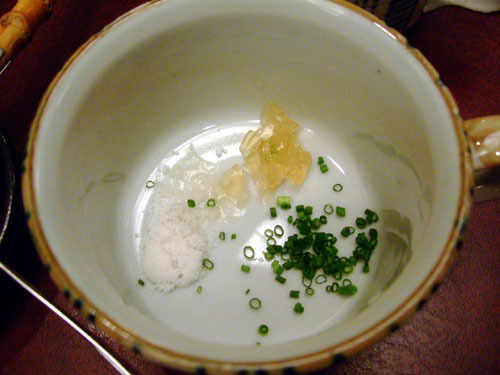 Next time I go to Tokyo I will check out other places you mentioned Kevin and if I'm brave enough Fugu. 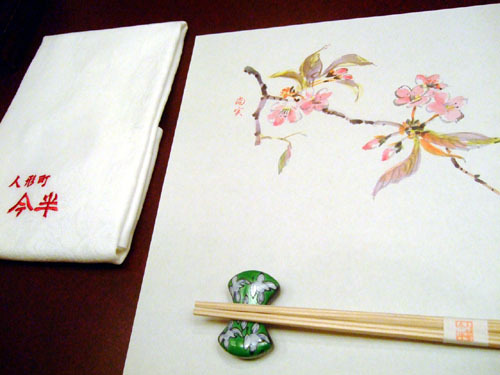 Everything we have in US is great, but it really can't replace the cultural experience in Japan. If only Japan is closer like NYC. 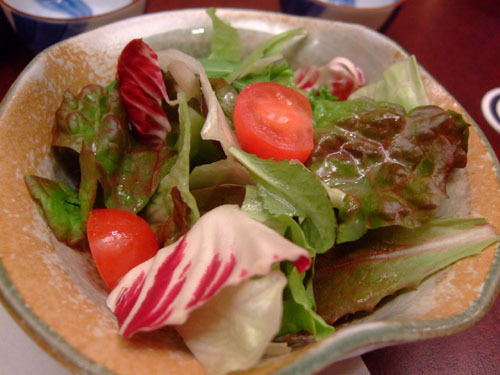 Overall, our Journey throughout Japan was fantastic and food wise there are so many great places to choose from. Kevin, will you be going again anytime soon? I,m planning on visiting Vancouver and maybe Whistler if there's snow left, if you have recommendations esp. for Sushi that would be fantastic. Preferably $$$ or so. During this trip, I did indeed visit Tsukiji market early in the morning, saw the tuna auctions, and had a sushi breakfast--I forget where though. I have no idea when the next time I'll be in Japan! Haven't been to Vancouver, so no recommendations there unfortunately.